This week I went and met with an aunt for lunch, then after we went to see my other aunt who lives in a care home. Neither aunt is related to me, one joined the family after I became an adult, the other aunt (who was always my favorite) is not an aunt, simply mom’s best friend. Their friendship started in high school and continued till the day mom passed 73 years later. A friendship that stood the test of time and distance. They didn’t talk all the time or even visit regularly, but it was a friendship that was easy, time passage didn’t exist and when one called it was as if they’d talked just the other day. She was a part of family events, came to stay over holidays and even took part in some vacations. She never married, does not have children or much family left, but she’ll always be my aunt who also got me, seemed to know what I was feeling without my need to say anything. Perhaps because we were both loners tossed in with social people. Turns out we share the same nationality, who knows perhaps we even share common ancestors as it’s from a small nation. Friendships are as necessary as food, they feed our soul in a special way and need to be valued for what they are, not critiqued for what they aren’t. I’ve found many on-line friendships that I value very much, whether they are sporadic or constant – they stand the test of time. 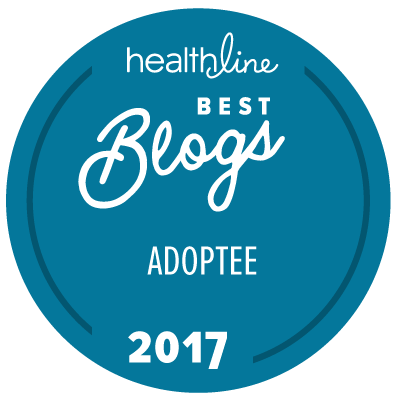 This post is dedicated to all my friends in adoption land, those who read this blog, comment or not, I value each one of you, we share the bond of adoption in all it’s messiness and history. Thank you all for being my friends. You matter in my life and sometimes life gets too busy and we forget to acknowledge our friends. Consider this an open thread and share what’s happening in your world, what you’re reading, whatever you want to chat about. Thank you for sharing your voice. I am grateful to listen and learn. Thank you Laksh – all our voices make a difference, the journey less alone. Thank you for your timely post, and your friendship, Tao. I’m also a loner and, especially this week, feeling that some in my life just don’t “get me”. Unlike here, where I feel understood, and safe. Happy Fall to you too PJ – glad it was timely and who knows, it was one of those spontaneous type posts that just flowed. Cheers my friend. Your aunt sounds like a wonderful friend. I always love reading stories of true friendship. And today, your post is timely for me. I am in need of your friendship and advice. I’m not sure if you’ve read my posts this week, but I have finally shared our adoption horror stories. I remember a long time ago you gave me some names of who to submit formal complaints to in the USA, but I cannot find that anywhere. Even if you aren’t able to read my posts, are you able to find that information for me again? We can chat offline if it’s better for you. Thank you. I caught up this morning and will pull the info together for you – right now I’m going to send you a dm on twitter and then when I have the details will send via there. Thank you TAO. Thank you. Tao, you are so kind! There was a lull for me awhile. I had not been getting emails from adoptees asking for help. Then it started again. It seems we have truly made a difference with the declines in international adoptions in 2016. Pew Research just released stats. I want to think it’s adoptees who have had the courage and tenacity to speak out who are changing the world. The effect of adoption is lifelong. I do think we have made a tiny dent overall in the big scheme of things – helping those who adopt understand our points of view. I hope you’re right and think we’ve made a wee bit of a difference. Thank you for being my friend. TAO – I am always glad that I joined a particular forum when I did because I got to know you, Shadow, Beth62 and other wonderful adoptees. I still remember than your reply to my question about who to contact made me realise who to contact and in the end, that was the right approach. I’ve appreciated your friendship down the years and though we may never have met, I feel like you are a true friend. In regards to my own life – things are good although unforuntately today, I have to go to work early because my workmate is sick so double the work 😦 On a brighter note, after tomorrow – two weeks holiday – yay. Me too CB – have a wonderful holiday, will you see your mum? I don’t think I’ll be going anywhere – there are a few things I need to do around the home. I’m very much a loner too. I like the company at work during the day but am glad to go home to myself at the end of the day. I was thinking there are quite a few choice words beginning with B lol but I’m pretty sure I know which one you mean lol.